Kids who are exposed to addiction during their formative years are 4 times more likely to become addicted themselves. When this happens, everybody loses. Addicted children tend to miss a lot of school and typically fail to graduate. As they get older, they are often left to fend for themselves without proper education, healthcare or support. Soon, the community must step in with extensive resources for multiple social services, or incarceration. The Family Effect helps to support key programs at The Phoenix Center of Greenville aimed at saving adolescents from the darkness of addiction. 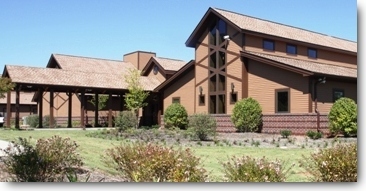 The Academy is a residential treatment center for boys age 13 to 17. It is only the second facility of its kind in South Carolina, and the program will not turn away any family based on an inability to pay for services. The boys at The Academy have experienced significant problems with addiction, and outpatient counseling has not halted the behavior. Often, they come to us with little else in their lives besides drugs or alcohol. They are nearing the end of the road, before their lives have really even begun. These young men need a full-time, holistic environment of education and healing, and full engagement by their families. They also need the support of their community. The Academy has capacity for up to 16 boys at a time, and the typical length of treatment is 90 days. Each of our boys is seen by a licensed Medical Doctor within 24 hours of admission, with weekly visits for the duration of their stay in the program. Certified Addiction Counselors with special training in adolescent care, Registered Nurses and a Licensed Child Psychiatrist all work to help our young men progress through their treatment plan, towards recovery and a healthy life. After each young man reaches his treatment goals and graduates from the program, a highly trained Case Manager helps to connect him and his family with community supports that help to ensure a healthy life back at home. Would you like to take a quick, no-obligation tour of The Academy? Our boys need you as a mentor, sports or music partner, and more. We invite you to learn about volunteer opportunities at The Academy. Many older children struggling with addiction dont need residential treatment, and can be helped effectively in an outpatient setting. The Phoenix Center provides two levels of age-appropriate care for more than 300 teenage boys and girls each year. Outpatient care allows our teens to stay at home with their families, and continue attending their own school. for the teenager, and for the community.